There are days when I just want to wander around and spend time with my mother. Let alone the days I spend time reading my favorite days, I still used to have free time for myself. That's important to have time to reflect and redirect my life. One day, my mother and I decided to visit Dapitan City so we can tour around for the whole day. It was a trip that we didn't plan - just an inspiration from the beautiful places I see at Instagram. We chose Dapitan City because it is so accessible and we haven't tried eating in a more carefree way. Luckily, we still see the restaurant that we have visited a year ago, the popular Kan-anan at Sunset, Boulevard in Dipolog City. I love grilled food so it's really the place for me. The dining place is so affordable. 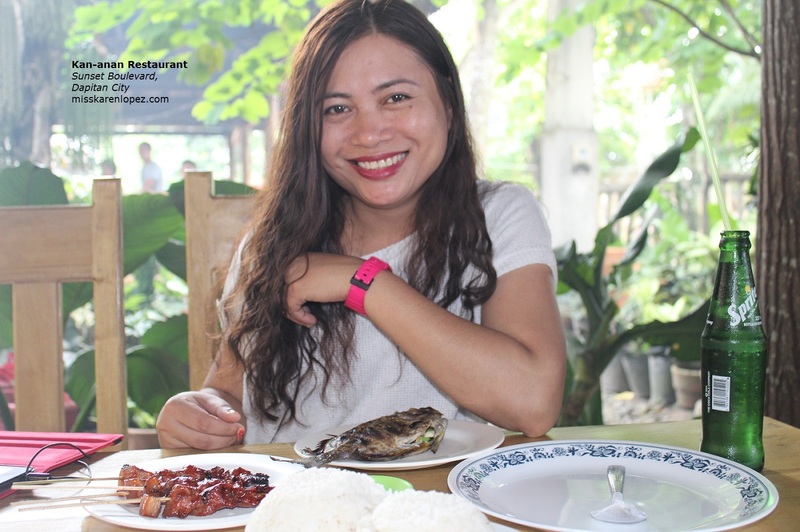 For less than P400.00, my mom and I got a chance to have a sumptuous brunch. All I have tried these is their grilled fish and I'll come back for more. I've been there so many times and my close friend was so amazed that I know some people there. Maybe, it's because the dining area is so affordable and accessible for me. Also, it's located near Gloria de Dapitan.